Dear readers, thanks for dropping by. Kindly note that I have migrated all these posts to my new blog All Things Cozy and Homely . I will blog at the new site from Jan 15 onwards. 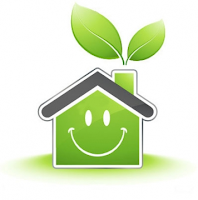 Have you heard of Green Renovation? I am sure you have a vague idea of what this buzzword means...nonetheless, here is the definition of Green Renovation. So ultimately, you are playing a part in helping our Planet Earth by reducing your carbon footprint. So what are these tangible advantages? The more energy efficient, the more monthly utility bills will be reduced. Alternative less toxic paint and floor finishes are critical to the well being of the home dwellers. This means reduced medical bills too as a cleaner living environment translates to healthier living especially for people with allergies. Okay I am sold. But does going Green mean I have to spend more? Yes. In fact besides spending more, you might have to spend more effort to plan and purchase more energy efficient home appliances, more environmental friendly materials such as less toxic paint, floor finishes (with low VOC paint, or water-based polyurethane) etc. However, bear in mind that although some home appliances and materials may be costly, consider them as upfront sunk costs as the value of going green (i.e. both direct and indirect savings) will only be achieved over some time. Humm....I am new to this. So where should I start? 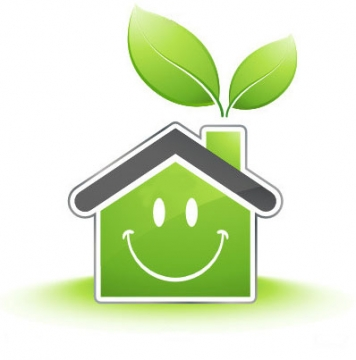 Make your home carbon neutral with the right insulation, heating & cooling systems, window coverings and energy efficient appliances. For instance, natural gas is a greener alternative to electricity as electricity is produced from fossil fuels such as coal In addition, transmission losses for gas are significantly lower than electricity and the heat produced for a given unit of energy is greater. Nonetheless, remember that natural gas is still a non-renewable fossil fuel in the same way that coal and oil are. Where available, renewable forms of energy such as roof mounted solar panels should be seen as preferred alternative. However, unfortunately this is not a common feature in HDB flats in Singapore. - Switching to LED fittings for lights fixtures. A well insulated, energy efficient home should be able to achieve average power consumption figures of 5-10kWh/day across the year. Water can be collected from roof with the use of rain water tanks, grey water systems, water saving fittings. Unfortunately - again - these are not a common feature for HDB flats in Singapore. - Installing water efficient appliances such as washing machines, toilets, dishwashers etc. Lastly, you can consider re-using existing materials, fixtures for your renovation. For instance, incorporating an interesting old wall feature, or recycling the old furnitures as part of the interior design for your new place. Shop for afforable wall paintings and furniture here! Welcome to my humble Home Interior Blog. I have been blogging on Home Renovation and Interior Design in Singapore since 2008. It first started as a hobby but recently, I have decided to devote more time in this blog. FAQ: What are the Renovation Works that are allowed in (Bomb) Shelters? What are the things to do once you have received your keys from HDB? Interior Designing: What's your theme? Glass that turns OPAQUE at will! The Little Red Riding Hood. Are you Polo enough?